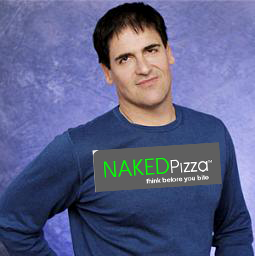 An update to our earlier story about the insider trading charges the SEC brought onto dotcom billionaire Mark Cuban, the notorious entrepreneur famous for investing in NAKEDpizza and also for founding a number of Internet startups (e.g. Broadcast.com, bought by Yahoo! for $4.6 billion) and owning the Dallas Mavericks basketball team. Apparently, a federal judge has dismissed the case. According to a MarketWatch report, the AP says U.S. District Judge Sidney Fitzwater granted Cuban’s motion and gave the SEC 30 days to file an amended complaint. The SEC had filed suit against Cuban in November 2008, alleging he sold shares of Internet company Mamma.com based on non-public info, sparing himself hundreds of thousands of dollars in losses (an estimated $750,000 to be exact). Cuban publicly fought the case through blog posts and Twitter messages, and that strategy seems to have paid off. Or maybe his lawyers just did a good job defending him. We’ll know soon enough, I reckon.